Maryland Polo Club is pleased to announce that Anna Winslow has be selected to join Team USPA, following in the footstep of Matt Collins and Kiley Sheehan who previously joined this select group of young players. 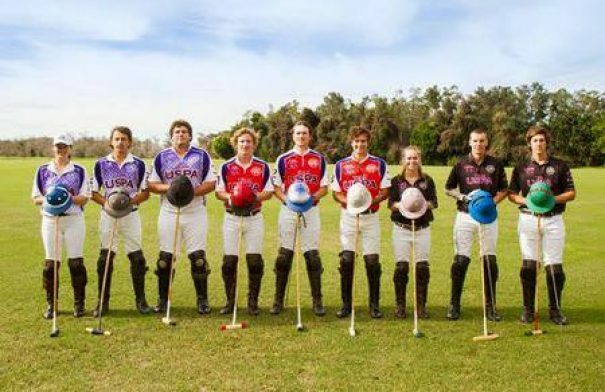 Each year, some of the top young American players in the country meet in Wellington, Florida to participate in the Team USPA Tryouts, hosted by USPA Polo Development, LLC Player Development. This year, nine hopefuls were selected from a large pool of applicants and were invited to showcase their abilities during the three-day tryout, including Maryland Polo’s Anna Winslow. Tryout activities included swing analytics, how to effectively prepare a team for competition, review of your goals in the sport, on camera interviews and of course tryout games. The three days of tryouts were a reflection of the challenges that professional polo players must master in today’s polo world. Anna’s election to the team alongside Matt and Kiley speaks to the strength of the young players being groomed at Maryland Polo Club. The mission of Team USPA is to enhance and grow the sport of polo in the United States by identifying young, talented American players and providing mentored training and playing opportunities leading to a pool of higher rated amateur and pro players and the resultant giveback to the sport of polo.